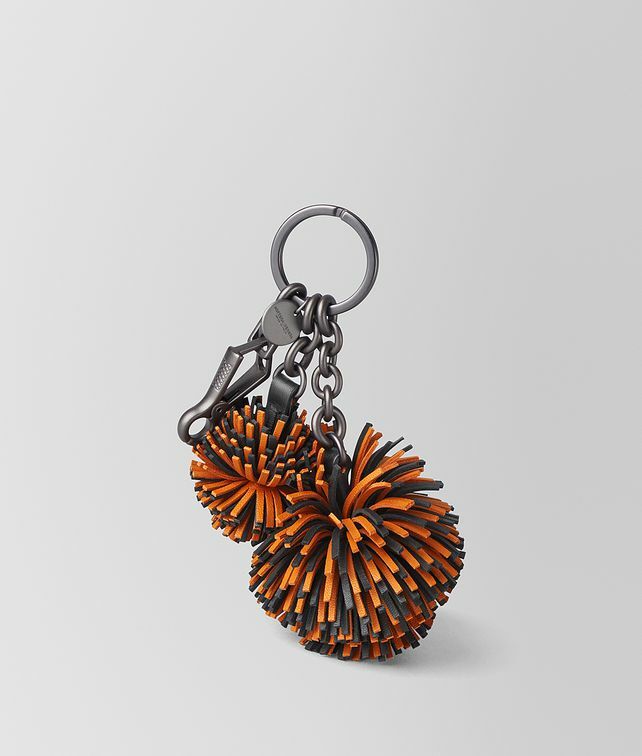 A new addition to our growing collection of charms, the nappa leather pom-pom merges craftsmanship, colour and playful whimsy. This style features one large pom-pom and one small on a single charm. The pom-poms are available in a range of shades that echoes the palette of Fall/Winter 18. Clip on one—or a few, as they were shown on the runway—to customise a favourite bag.